I am lucky to be the mom of three adorable girls and one very patient awesome boy. 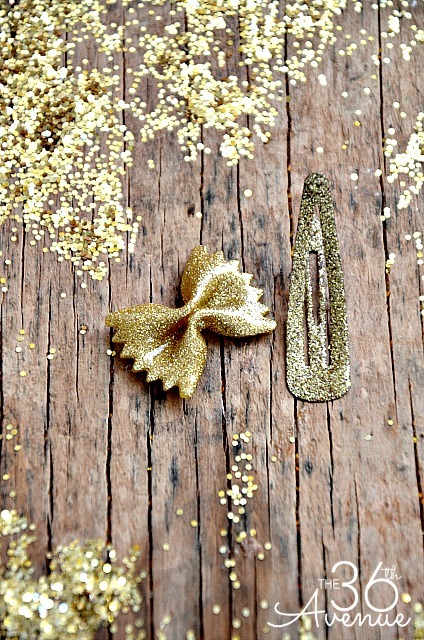 I am always looking for cute affordable ways to do my girls hair and I have to confess that quick and easy is always a plus for me. 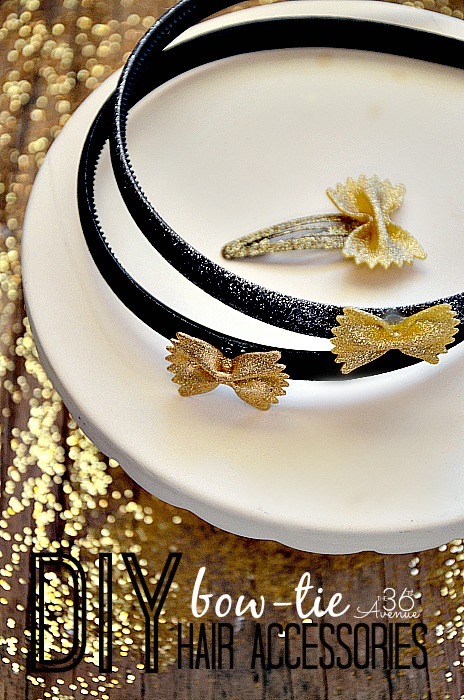 Today I am sharing how to make DIY Hair Accessories using headbands from the Dollar Store and Bow Tie Pasta. but you can use any color you like to customize yours. 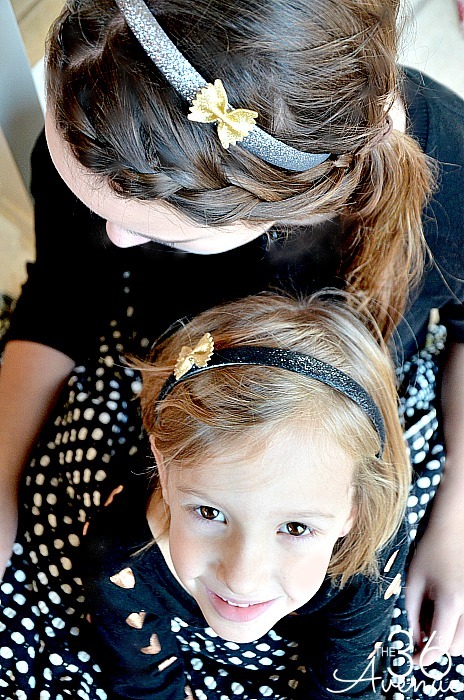 This is a one minute project and I think you will be happy to know that this set of three headbands were just a dollar. 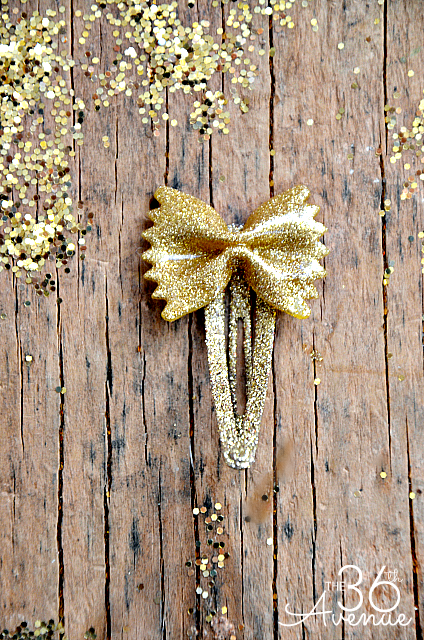 The first thing you want to do is spray paint your bow tie pasta. 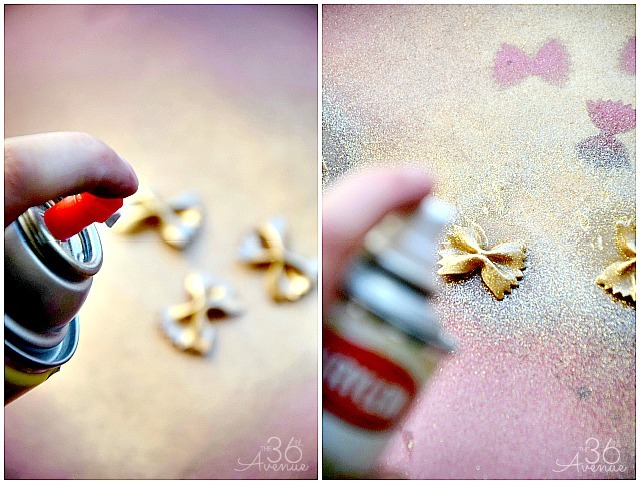 I used metallic gold and glittered gold spray paint for these ones. 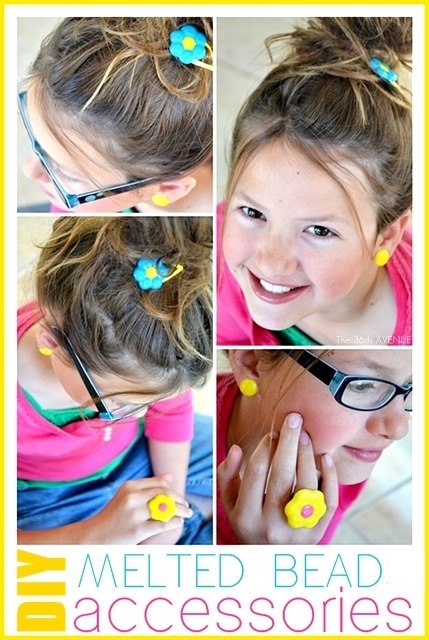 Do the same thing with the hair clips and let them dry! that way they won’t fall apart… Adorable! 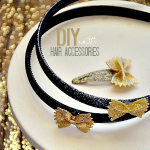 You can apply the same technique using a headband instead of hair clips. 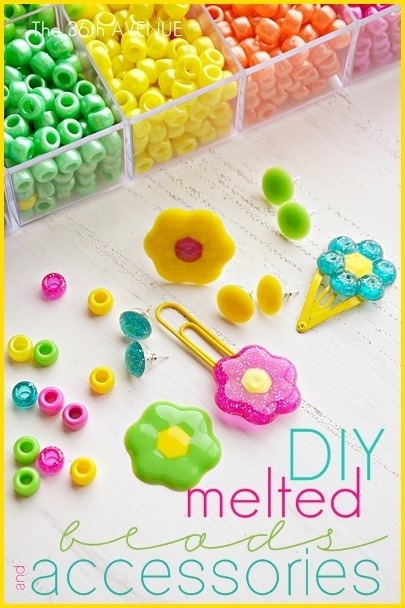 DIY Melted Beads Accessories. Kids love this! 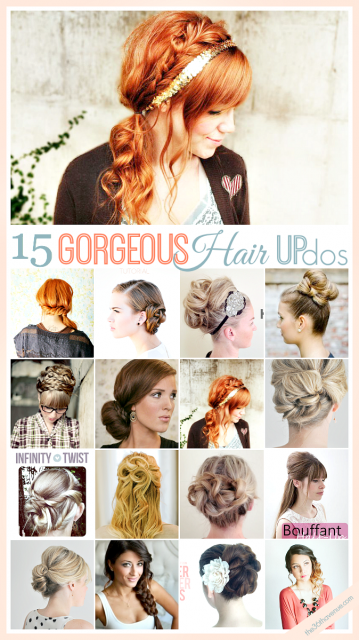 15 Gorgeous Hair Updos… perfect for the Holidays! Wishing you a beaYOUtiful day! So adorable! I love that! Are you serious!? These are just the CUTEST!! My girls would love them! Sooooo cute 🙂 …& a great idea! Thank you so much… Wishing YOU a Happy New Year!